Cognitive behavioral therapy is a method that combines behavioral therapy with cognitive therapy. The uniqueness of this method, developed by Aaron Beck and based, among others, on the latent conditioning model, is the understanding that cognitive processes – that is, automatic thoughts and basic beliefs – are acquired through learning processes just like behavior. According to Beck, conditioning is mostly influenced by our immediate surroundings, through people who constitute a model for us or through a significant event that took place in our lives. CBT was developed following therapy work with adults who suffered from depression, and later evolved in other directions, including therapy for children. This was after it has been shown that various cognitive childhood disorders are also structured on cognitive and behavioral mechanisms and that these mechanisms can be used to reduce distress and improve functioning in children (Myers, Moore 2014). Over time, additional therapy methods have evolved which rely on cognitive behavioral therapy, but perceive the cognitive and behavioral elements in a slightly different way and thus incorporate other approaches into therapy. Three major waves currently characterize the evolvement of cognitive behavioral therapy. Behavioral therapy focuses on the relationship between stimulus and the patient’s behavioral reactions. The idea behind it is that instead of the patient avoiding the stimulus that arouses fear, shame or any other emotion, they will be exposed to that same stimulus in the safe environment of therapy. When the patient realizes that things aren’t as bad as they seem, the association between the stimulus and the reaction will gradually dissolve, which will lead to a decrease in the intensity of the reaction. Cognitive behavioral therapy attributes great importance to thoughts as mediating factors between stimuli and emotional and behavioral reactions. Ellis and Beck considered thinking errors and irrational thinking as the stimulus for patients’ reactions. According to this model, cognitive change is the key to relieving emotional intensity, and even to bringing about emotional change that will eventually lead to emotional relief. The third wave introduced Eastern concepts such as mindfulness and focusing on the present, with the aim of accepting emotional experiences as they are, without arguing with one’s thoughts or trying to change the circumstances. It is assumed that non-acceptance of emotions is often the cause of emotional disorders. In therapy based on these approaches, patients learn to observe their emotional experience without giving it the power to control their lives. Without judging their own reactions or trying to change them. Thoughts are only thoughts – thus we can observe them without identifying with them. Feelings rise and fall like waves, allowing us to use techniques of acceptance and observation. The ability to experience “pleasant” and “unpleasant” emotions is positive and healthy, even if a given experience is unpleasant. The second wave’s objective is to “feel good” and the aim in therapy is to reduce the intensity of fear; whereas the third wave asserts that “it’s good to feel”, with therapy sessions aiming at helping patients to adopt an attitude of acceptance towards their feelings and personal experiences. What makes Playing CBT so effective when working with children? Games provide a creative and indirect access to children’s inner and subconscious world. Games allow children to express impulses and wishes and to understand their relationship with the people and important figures around them. By controlling the game children get a sense of self-control and self-efficacy. Through the game’s characters and the open dialogue, children get to know their hidden aspects. As with the dynamic approach, Cognitive Behavioral Therapy recognizes, of course, all the advantages of games. But unlike this approach, in CBT there is no interpretation of subconscious elements that may be expressed during the game. In CBT, games are of course a communicative means for acquiring abilities, skills, and the expression of wishes, thoughts, feelings and behaviors – all in a not directiy way in the form of conversation during the game. Another difference is that in CBT, games are usually goal oriented, during which the cognitive, behavioral and emotional elements are processed while being named by the therapist (Myers, Moore 2014). In the same way, Playing CBT allows patients and therapists to express thoughts, emotions, feelings, behavior and more during therapy in an indirect manner as part of the game. 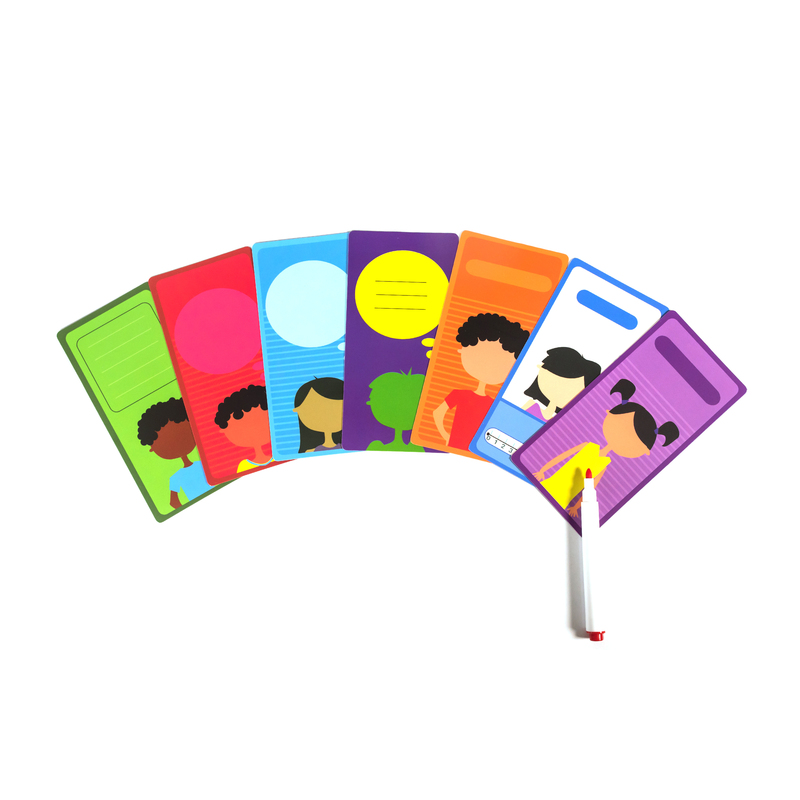 The questions presented on the cards provide access to children’s inner world and experiences, but because the conversation is happening while playing, the children do not feel intimidated and are even happy to talk about the feelings and thoughts of their pawn or character while allowing access to their personal world as well. Playing CBT allows therapists to combine the approach of all three waves without having to choose between them. Familiarity with all approaches by choice and without judgment allows for a personally suited therapy at its initial stages. As a therapist with many years of experience, I like to combine all approaches: some children come ready and deal with a specific phobia, and after a psycho-educational explanation they are able to expose elements of their problem (first wave). Some children come with physical sensations and find it difficult to identify the emotion they experience. With these children I work on identifying physical sensations and then on associating them with emotions and thoughts; after that I add techniques for cognitive and physiological regulation (second wave). Other children come to me with general anxiety and are unwilling to “argue” with their thoughts. With these children I combine tools from the “third wave” together with specific techniques of the second wave such as distraction, channel switching and more. The game’s cards are very effective when using the second wave’s approach and especially in facilitating cognitive change. Combining the cards with the third wave approach in therapy will enable patients to better understand the elements of their emotional experience, to separate the different elements and act in a way that serves their goals and values.